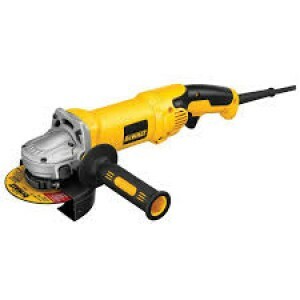 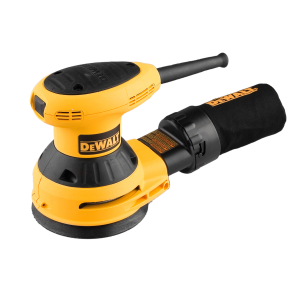 Dewalt D26451 125mm Random Orbital Palm Sander Dewalt D26451 125mm Random Orbital Palm Sander, 240watts motor operates at 13,500 opm, providing maximum sanding speed for smooth finishes. 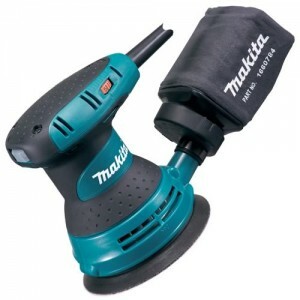 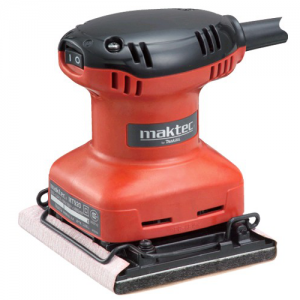 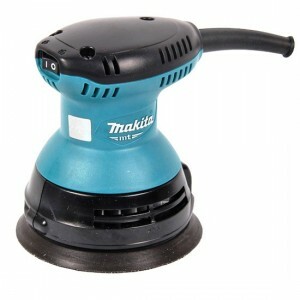 Textured anti-slip top and body grip provid..
FEATURESpowerful motor that spins the pad at 12,000 OPMShorter height allows the user to get closer to work piece Separate counterweight design reduces vibration for improved comfortRubber over-mold in all of the critical areas of the sanderImproved ..
Makita Random Orbit SanderModel no: M9202BSpecifications:Size: 125mmPower: 240wSpeed: 12000 opm Capacity: 5inchCable length: 2.0mtrWeight: 1.1kgDimensions: 127*123*142mmSpecial Features: Fast ..
Makita Palm Finishing sanderModel no: M9200BSpecifications:Size: 112 x 102mmPower: 180wSpeed: 14000 opm Capacity: 4inchCable length: 2.0mtrWeight: 1.6kgDimensions: 110*112*133mmSpecial Feature.. 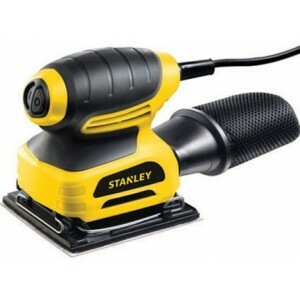 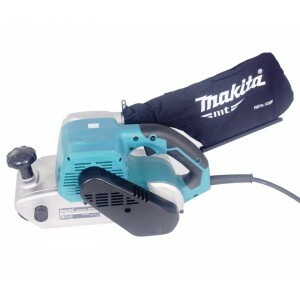 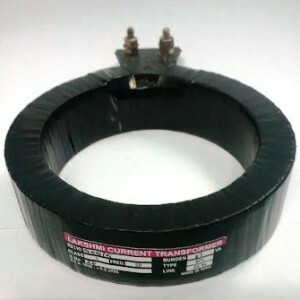 Powerful motor and high durability. 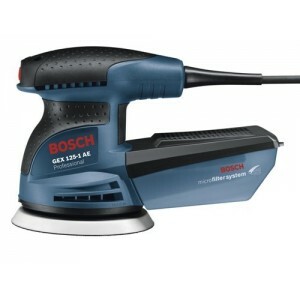 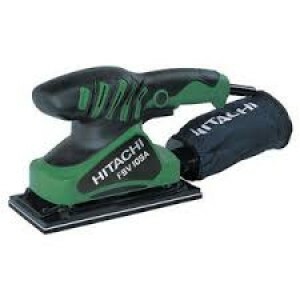 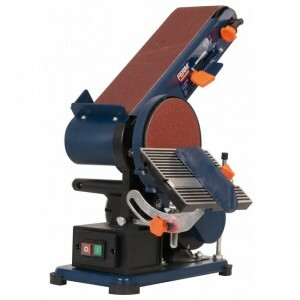 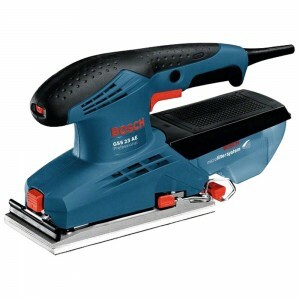 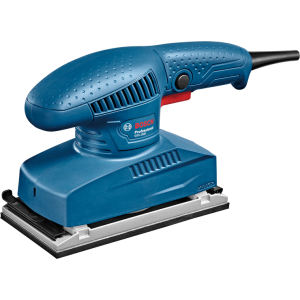 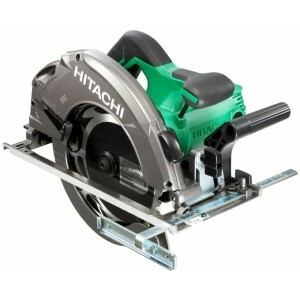 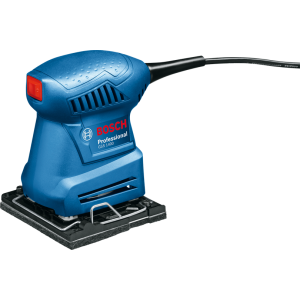 Ergonomically designed rubberized top-cover and body provide more control and comfort.Rubber switch cover prevents ingress of dust.Convenient pad brake for fast stop.Speed control dial.SPECIFICATION :&nb..
Hitachi FSV10SA Orbital Sander Features : Large soft grip fits in the palm of hand for ease of operation while still allowing motor ventilation. 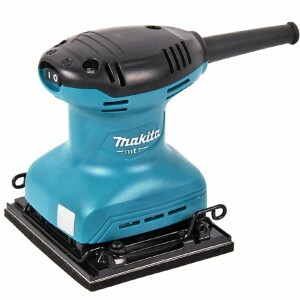 Excellent dust collection with standard dust bag for user safety. 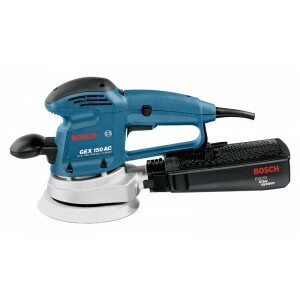 Hook and Loop base wi..
GSS 1400 Orbital Sander Features : A perfect hold of the paper without creasing and tearing due to Bosch Easy-Fit system – for Velcro-type paper and rolls of paper Bosch Microfilter System : perfect, efficient dust extraction E..
Dewalt D28409 Sander 7inch 2200w Features:Soft start to limit start up current and reduce kick back.Fitted with anti vibration side handle, quick adjustment tool free guard.Abrasion protected high power motor for increased motor durability.Rand..
Bosch GSS 23 AE Oribital Sander Features : 190w Motor, 12,000 OPM Ensures fast, smooth results on all surfaces SheetLoc™ Sandpaper Attachment System Pulls regular sandpaper flat and tight.Giving it the benefits of adhesive "stick-on" ..
Makita Belt SanderModel no: M9400BSpecifications:Size: 100 x 610mmPower: 940wSpeed: 380 m/min Belt size: 4" x 24"Cable length: 2.0mtrWeight: 6.2kgDimensions: 354*175*169mmSpecial Features..
Bosch GSS 2300 Orbital Sander Features : Easy and robust clamping system, sanding plate, bearings and vibration foot to improve working efficiency Ergonomic handle, optimised tool height, counterweight for less vibration to ensure comfo..
Maktec by Makita MT920 Random Orbital Sander MT920 is the compact and versatile orbital sander machine for polishing wood surfaces easily Features : Extremely Versatile sander Quick paper change using clip system on/off swi..